Previous roles: I started off working at a Bird of Prey Rehabilitation centre where I studied falconry for two years. From there I went to The Tygerberg Zoo in Cape Town where I worked at a senior reptile curator for two years and then as a bird curator for another two years. 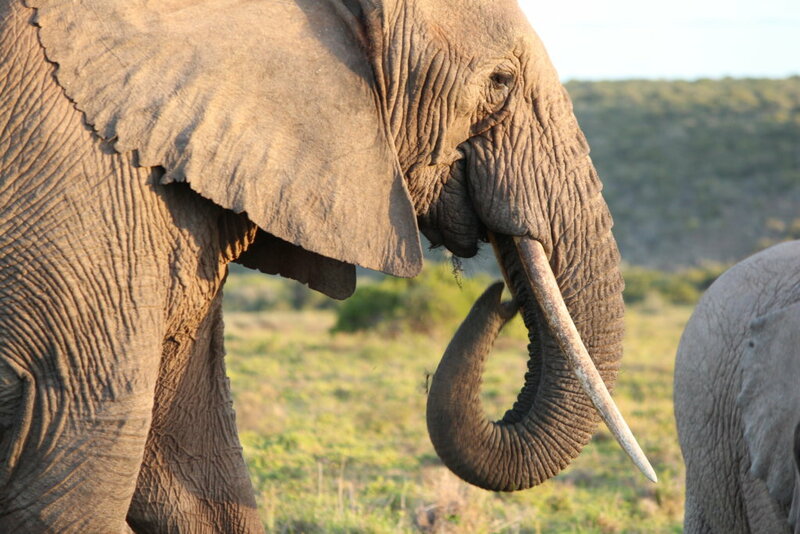 Thereafter I went into nature guiding, firstly at Kariega Game Reserve for three years and then at Shamwari. Trail running, mountain biking and surfing. I have a passion for people and wildlife but mostly I have a passion for ecotourism and aspire to one day, do my part in expanding wildlife reserves. I thoroughly enjoy that my job allows me to spend countless hours with wildlife while being able to observe their behaviour and learn more about them. It has also provided me with the opportunity to meet amazing people around the world, many of them arrive as guests and leave as friends. 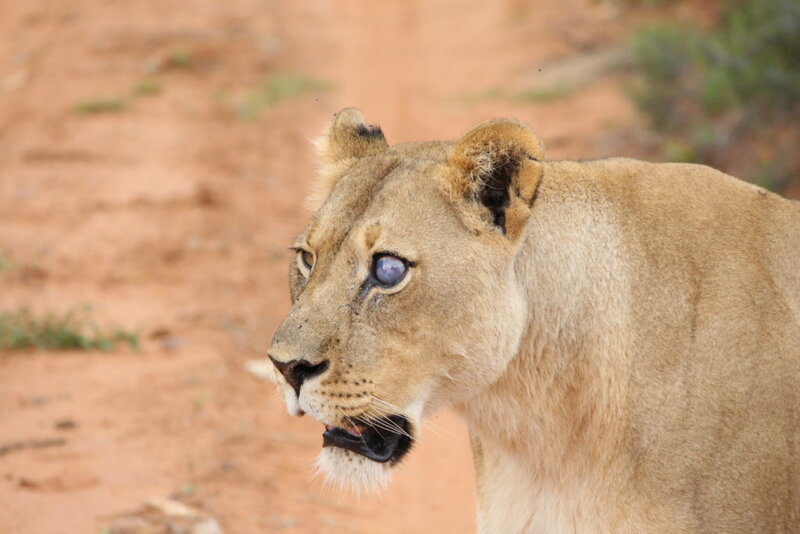 This my favourite animal in the Eastern Cape bush, simply for the fact that it is fast and unpredictable. They have complicated social structures, are family-oriented and sentient beings. I love the fact that the bond between a calf and its mother can last for up to 50 years. 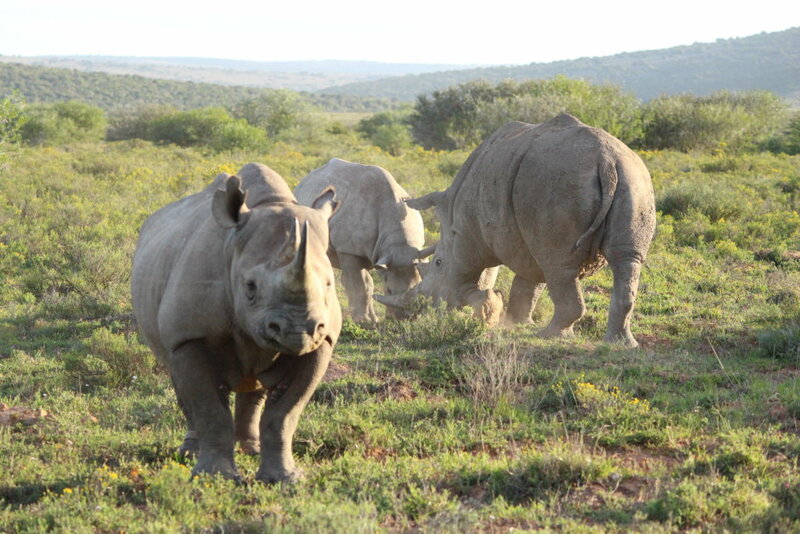 My favourite sighting was an interaction between white rhino and black rhino. I was fortunate enough to this rare sighting in the bush with my guests. A black rhino female that was feeding and her calf was having a sleep when they were approached by three young white rhino bulls. The largest of the three walked up and greeted the mother black rhino with a rhino kiss – this is when they put their faces together. We all watched in awe as this interaction was taking place. He the bull gently nudged the black rhino calf to say, “play time”! The young black rhino began to play fight with the white rhino. The white rhino bulls are much larger than the black rhino and could easily overpower it. White rhino bulls can weigh up to 2,5 tons when fully grown, whereas the black rhino weigh about 1,2 tons. It was a friendly interaction and it’s great to see the two different species getting along. In the past I have witnessed bloodied battles between territorial bulls. I think this behaviour is due to a healthy environment and low habitat pressure here at Shamwari, thanks to the brilliant conservation work being done and wildlife management. 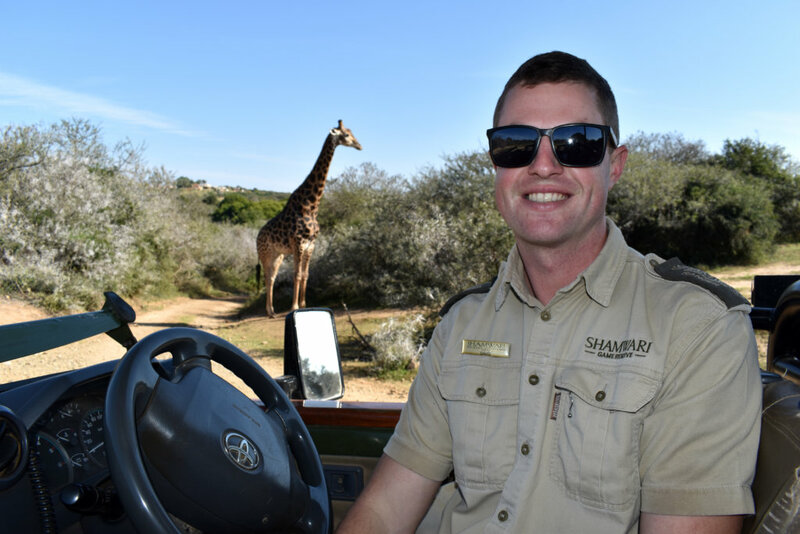 My guests and I were in awe and it will forever remain one of my highlights of being a guide at Shamwari.